Window wells can attract a great deal of unwanted moisture from rain and snow which can lead to water damage both inside and outside of your house. This, in addition to dirt, trash and other foreign objects, can make an unsealed window well both an eyesore and a hazard. Unless you need the window well clear for ventilation purposes, you can install a window well cover to seal the opening. These covers, available online or at most hardware stores, range in price from $50 to several hundred dollars, as of 2010. 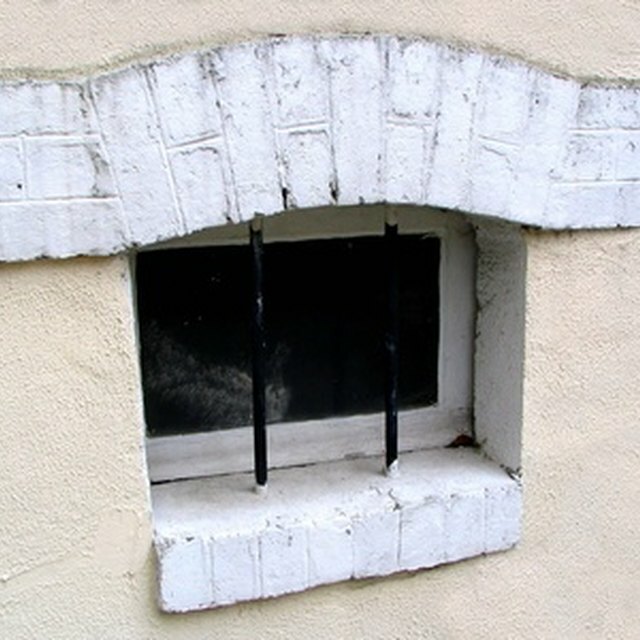 Measure your window well to determine the proper size for the cover. Place the cover over the top of the window well and trace the outline of the cover from the edge of the window well. Drill holes for the rear brackets into the wall above the window. A masonry bit works well. The size will depend on the brand of window well cover you are installing. Consult the packaging for the exact size. Mount the cover bracket to the wall using the screws or anchors enclosed in the package. Drill holes around the perimeter of the window well to match the number of lock washers you will be installing. This, like the other steps, will vary based on the brand and size of cover your purchase. Typically these lock washers will have Velcro on top to secure the cover to Velcro squares on the opposite end. Install the lock washers into the newly drilled holes using the screws enclosed in the package. Affix Velcro squares to the bottom of the window well cover to line up with the lock washers installed in the previous step. Stick them to the bottom of the cover by peeling off the plastic covering to reveal the adhesive end below the square. Press the sticky end against the cover to secure it. Cut away the excess portion of the window well cover. A jigsaw is a good choice for this operation. Close the cover and ensure that it sticks when closed. If done properly, you will be able to open and close the window well cover to your preference.